Which Business Form Should I Use? Consistent with an ever increasingly complex world is the increasingly complex number of choices you have in which to form a business. Should you incorporate? What about an LLC? Or maybe an LLP? Or even an LLLP? And what about taxes? Should the entity be taxed like a C-corporation? Or elect S-corporation tax status? Should you incorporate in Nevada? Or some other state? While not limitless, the options are certainly great. Corporations have been around forever. Shareholders own the company and have limited liability. The corporation is governed by a board of directors and the day to day operations are handled by the officers. 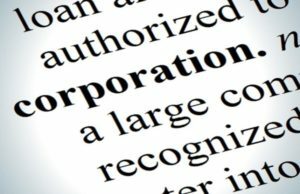 However, corporations are subject to double taxation, unless they are treated as an S-corporation. The LLC started to gain popularity in the 1990s. This type of entity is designed to combine the benefits of limited liability for the owners and avoid the double taxation problem of corporations. However, they remain flexible enough to allow you to elect to be taxed like a partnership, C-corp, or S-corp. There are also Series LLCs. A general partnership is simply two or more people getting together to run a business. A limited partnership may be used when there are investors who are not involved in the business. These investors are the limited partners and have limited liability, while the general partners do not. A relatively new twist on the limited partnership concept is the LLLP. Limited liability is extended to the general partner of a properly registered LLLP. If you purport to do business as a Nevada registered LLP without filing the necessary certificate of registration with the State, you could be subject to a penalty of $1,000 – $10,000. Under Nevada corporate law, those providing professional services, such as dentists, doctors, accountants, lawyers, etc., may practice under either a Nevada professional corporation (“PC”) or professional limited liability company (“PLLC”). There are limits on who can own these entities. A Nevada business trust may be formed to operate any lawful business activity. Business trusts are not very common. They must be registered with the Nevada Secretary of State much like the formation of other business entities. Failure to file the proper certificate of trust with the State may result in penalties like the LLLP. Knowing which business entity to use for your business can be confusing, to say the least. Receiving good counsel from an experienced CPA and attorney, working together, is essential. For a free initial consultation, call (702) 894-4110.